. I was about halfway through making them and they were very present on my mind because they were working up fabulously. 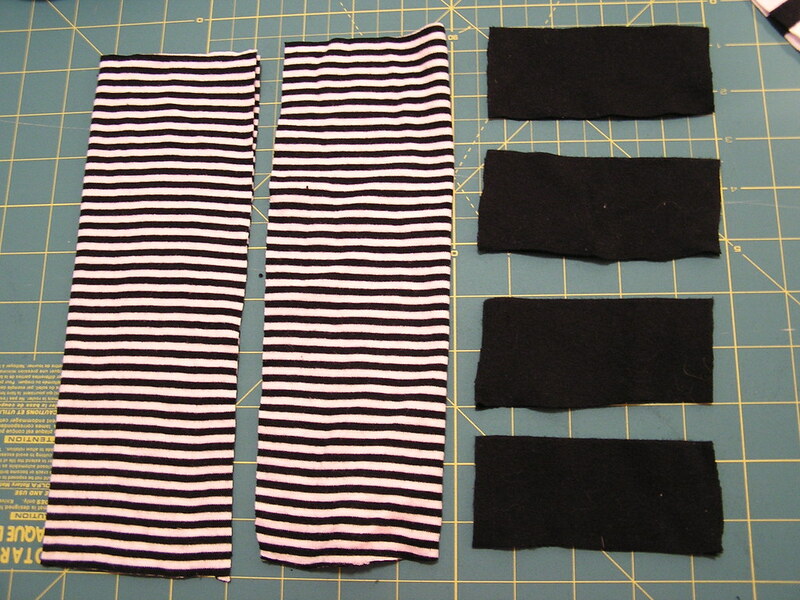 Anyway, I decided to make some legwarmers for R. Here's what I did (you'll need an unwanted knit shirt with cuffs, or, of course, some fabric). I love the utility of this project. They make dresses possible on cold days, they don't have to come off for a diaper change, but they do come off easily if it warms up while you are out and about. 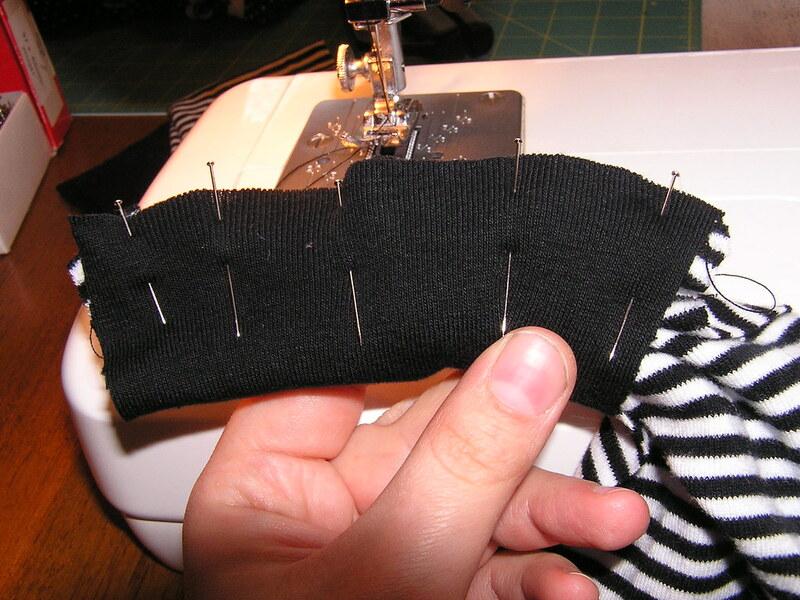 Stretch out the cuff pieces so they are the same length as the short ends of the leg warmers and sew them on, enclosed-cuff-style. 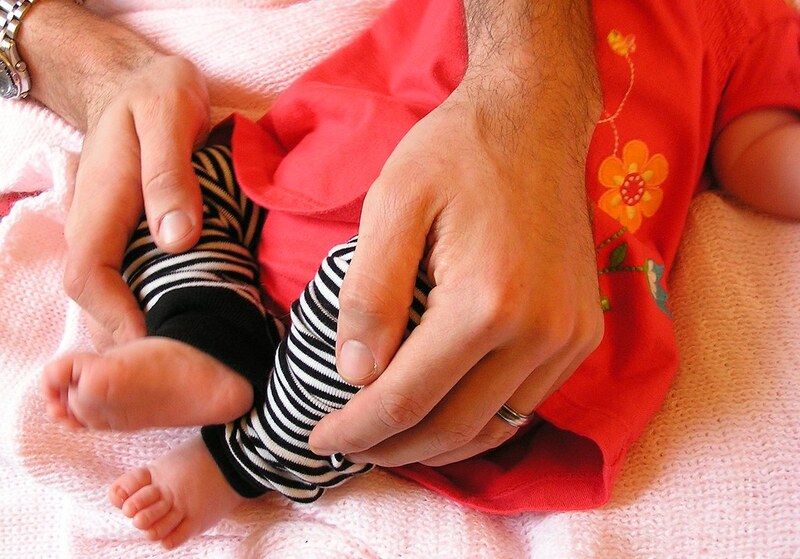 I recommend lots of pins to keep everything even; the stretched cuffs can be tricksy. Are you in love yet? I like that they are sort of Tim Burton-esque. 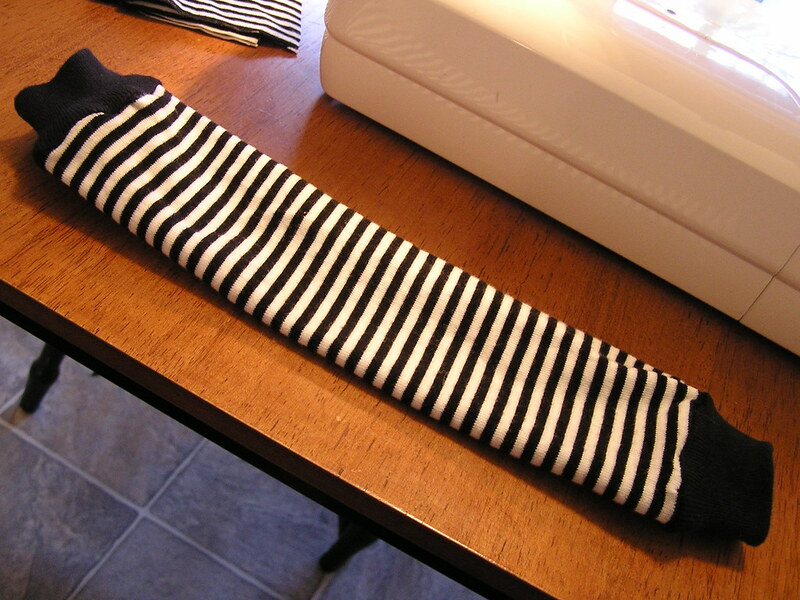 I bet if Jack and Sally or Victor and Victoria had babies and put them in leg warmers, these would be the ones. Oh, and the knitted Legwarmies are also a success.